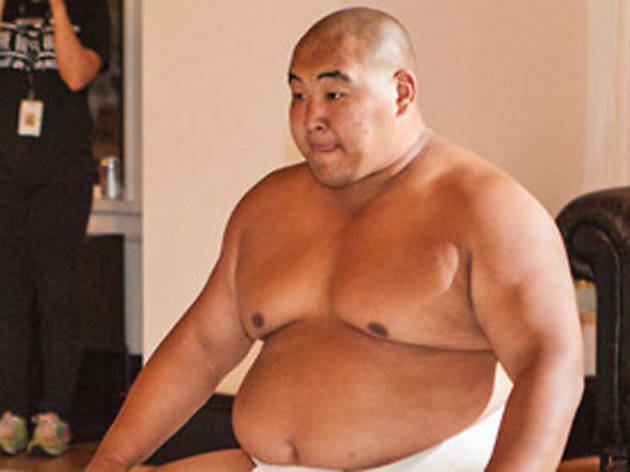 Sumo wrestlers are the new strippers. Sure, the new Nobu in Malibu has that ocean view and all, but are there scantily clad overweight men wrestling each other while you eat? We think not. Head to Hollywood's Supper Club for an evening of sumo, sushi and sake, and enjoy...well, the name says it all. Dine on an Echi Sushi-catered meal of miso soup, snow crab or sashimi salad; a Nigiri sushi combo (tuna, salmon, albacore and yellowtail); a specialty roll; and dessert. Sake comes from Banzai Beverage and will include a flight of three artisanal samples. The 90-minute sumo show from USA Sumo features world champions in a demonstration and competition. It's likely an evening you won't soon forget. Unless it does turn into one of those evenings you forget, in which case you'll be happy you aren't stuck all the way out in Malibu.